And Muammar Gaddafi’s son Mo-Tassim has also been killed, NTC information minister was quoted as saying by Reuters. The minister said he was hiding with his father. National Transitional Council (NTC) Prime Minister Mahmoud Jibril told a news conference in Tripoli it was time to launch a new, united Libya. The NTC now plans to officially announce Libya’s “liberation” before indicating the next steps towards democratic elections. Mr Jibril said NTC forces were now pursuing Saif al-Islam, Col Gaddafi’s most prominent son, who fled Sirte in a convoy before Sirte fell. World leaders welcomed the news, urging the NTC to carry through its promise to reform the country. UK Prime Minister David Cameron, who had taken a leading role in the Nato intervention, said it was “a day to remember all of Col Gaddafi’s victims”. 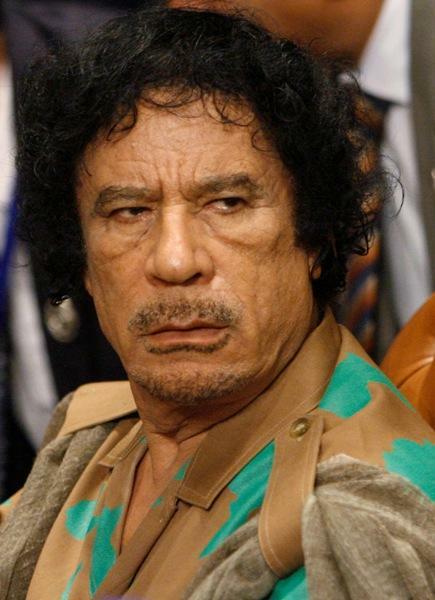 Earlier, grainy video footage circulated among NTC fighters appearing to show Col Gaddafi’s corpse. The video shows a large number of NTC fighters yelling in chaotic scenes around a khaki-clad body, which has blood oozing from the face and neck. Another video broadcast by al-Jazeera TV showed a body being dragged through the streets which the channel said was that of Col Gaddafi.